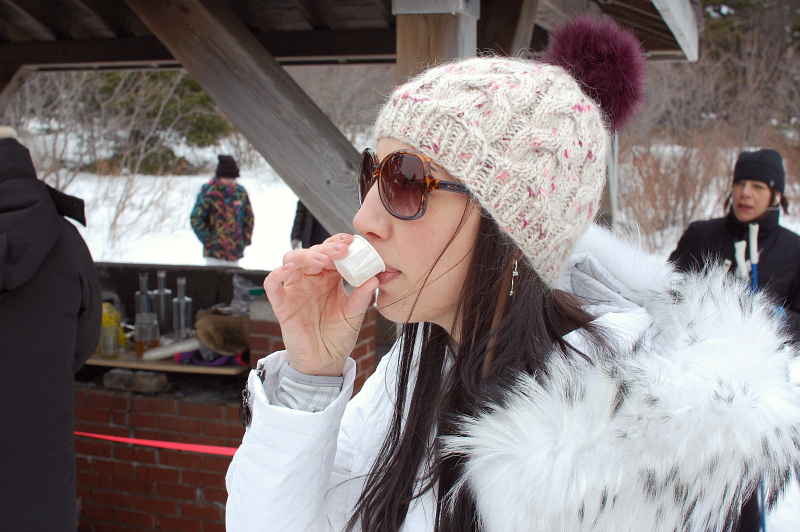 On Sunday, Andrew and I went to the Pippy Park Maple Syrup Festival! This was the 3rd year for the festival, but our first time attending.. and we had a ball! 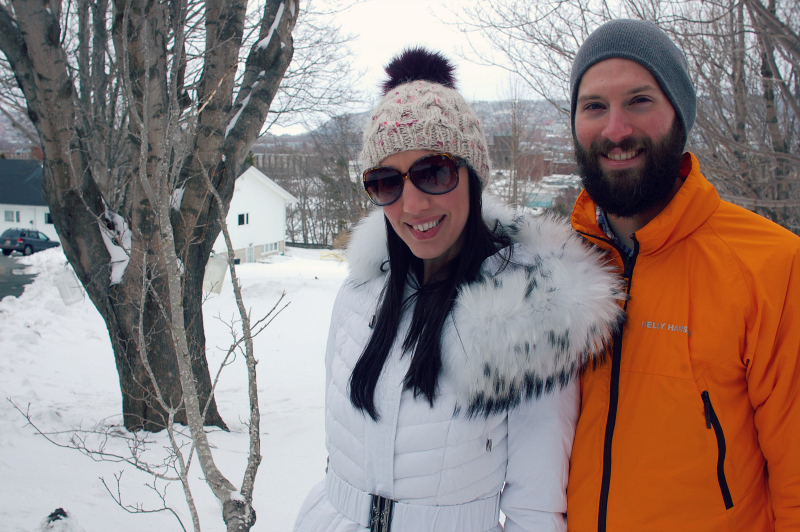 Making your own maple syrup has become a hot hobby here in Newfoundland over the past few years, but it was all new to us. 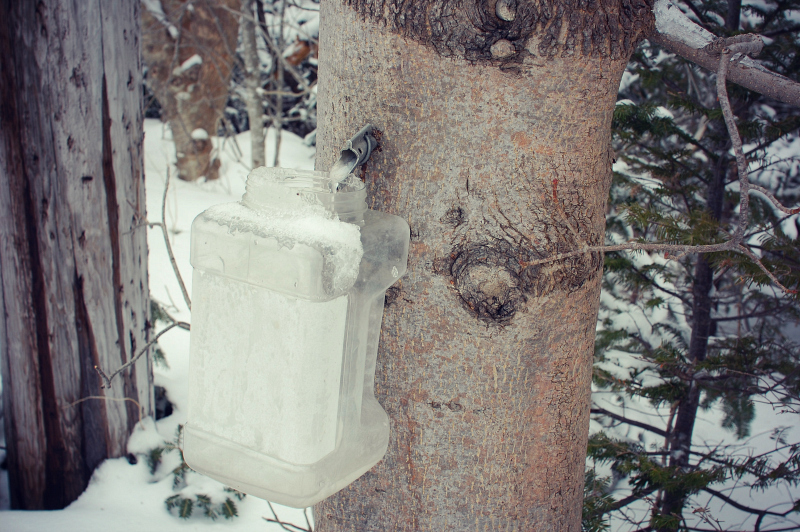 You would think we would be more familiar with the process, as Canada produces about 85 per cent of the world's maple syrup, but I had never actually seen it happen in real life until this weekend! 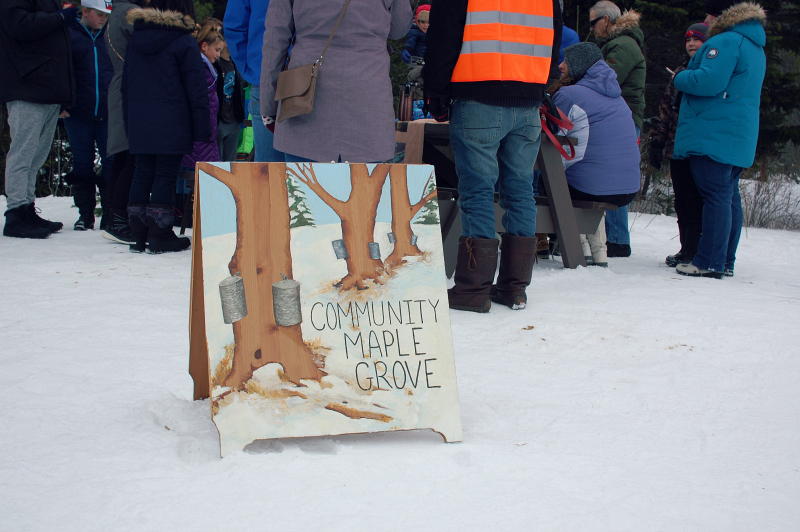 Friends of Pippy Park upped their game this year, offering maple tapping tutorials in the park, and developing a new Community Maple Grove! 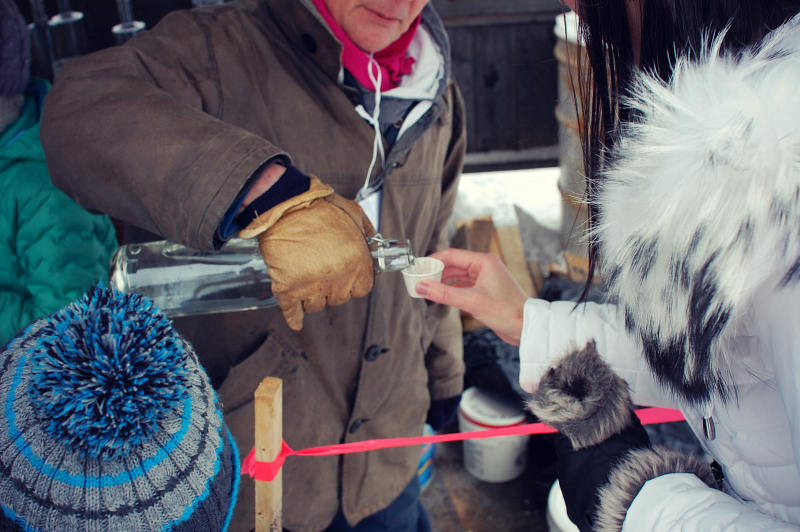 They had demonstrations of how to insert the spile (tap), and we were able to taste the fresh sap that came out of the tree. It's amazing that it is so clear, like water, and with very little taste. 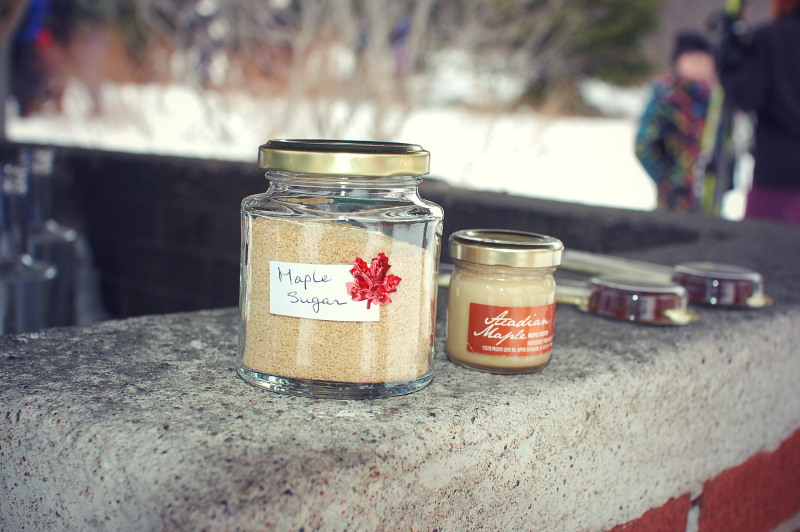 They were cooking the sap down to syrup over a fire outside, and it was sweet and oh so delicious! 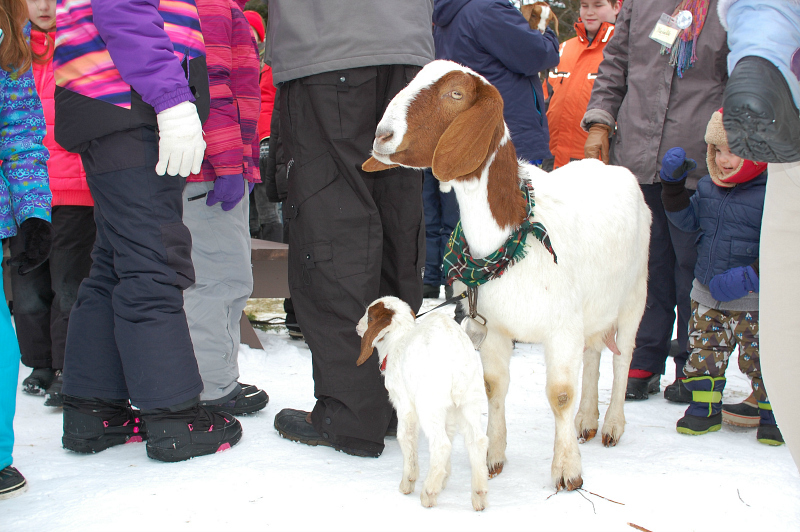 Here are some photos from our time at the Maple Syrup Festival! 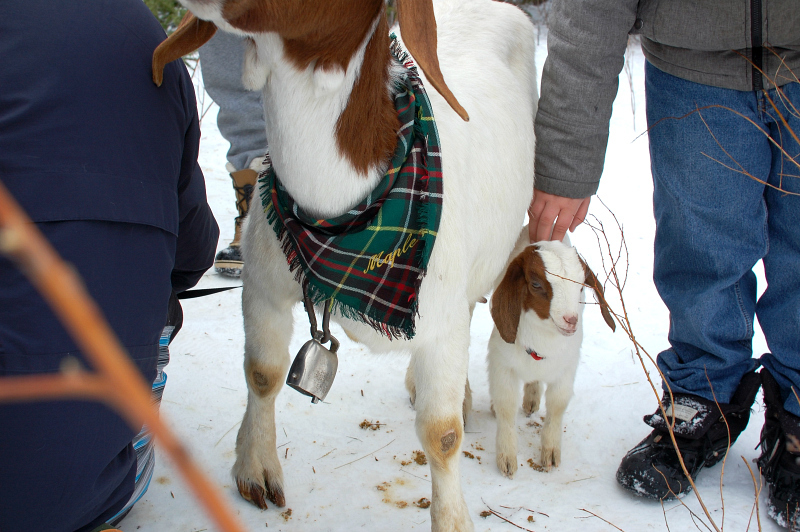 We met the Mobile Goats - Maple (the Mom), and her three babies, Percy, Summer and Honey. Oh my heart. 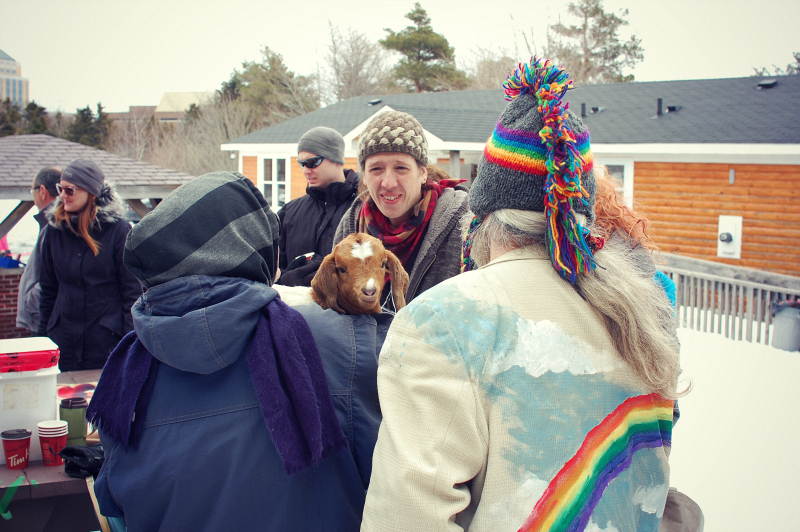 I am working on Andrew to let me have a goat. 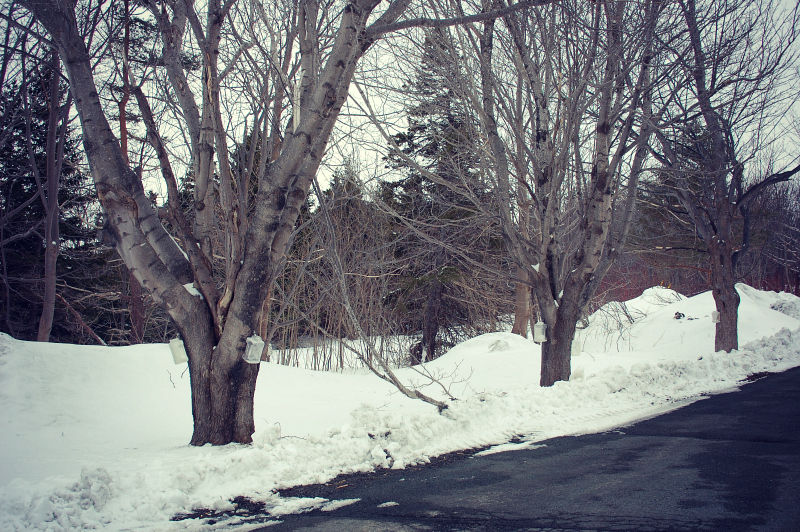 Andrew and I took a walk around the park to see the maples in action, with buckets hanging and sap dripping. It was pretty awesome, I have to say. 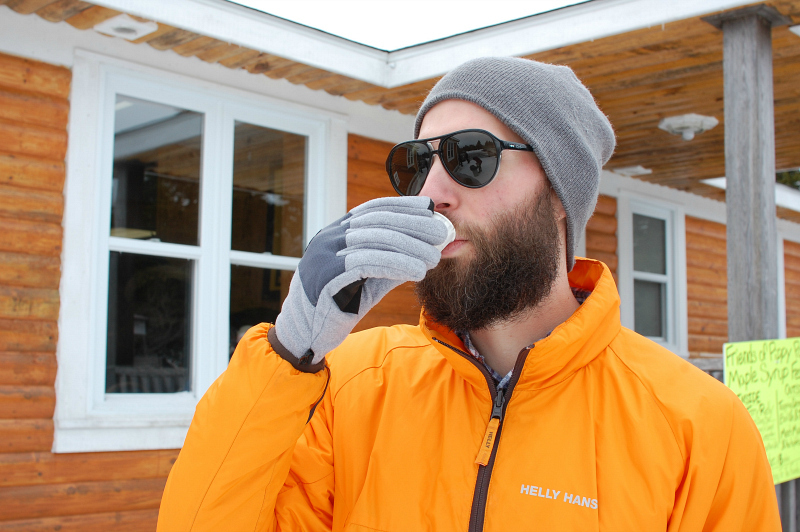 This winter feels like it's been dragging on forever, but finding new ways to enjoy it helps immensely. We gave our mental health a good boost this weekend, and getting out to appreciate the beauty of nature played a big part in that. I love the exaggerated sound of snow crunching under our boots, and as we slid on slippery spots and sank down in deeper places, I wished I had thought to bring our snowshoes. 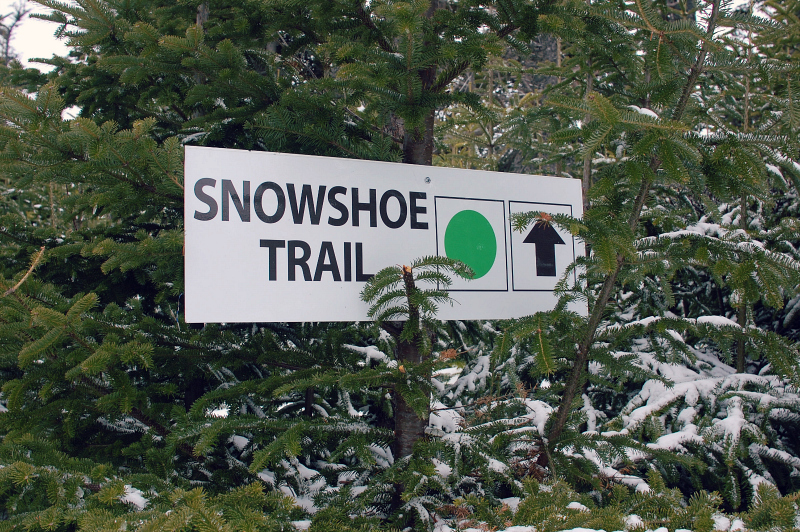 These trails are perfect for winter activities! 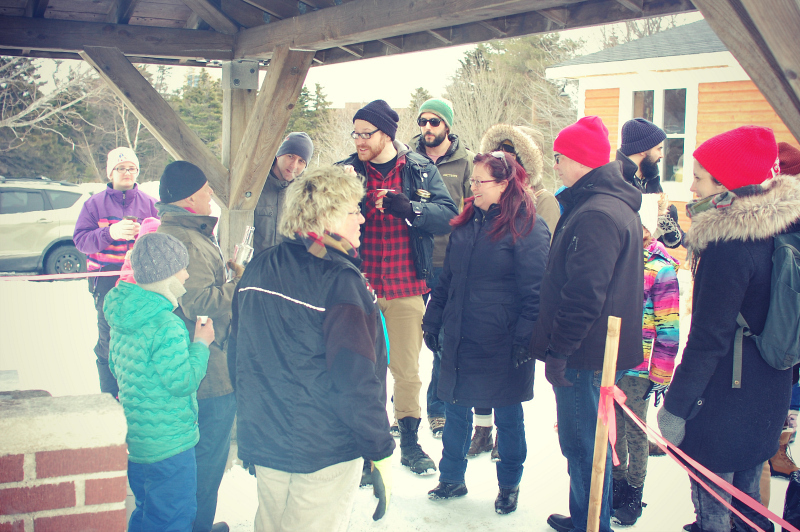 We discovered that Newfoundland has a growing community of DIY maple-makers, and we want to be a part of it! The two little maple trees on our front lawn are far too small to be tapped, but I think my parents might have some good ones on their property. I am going to find out! 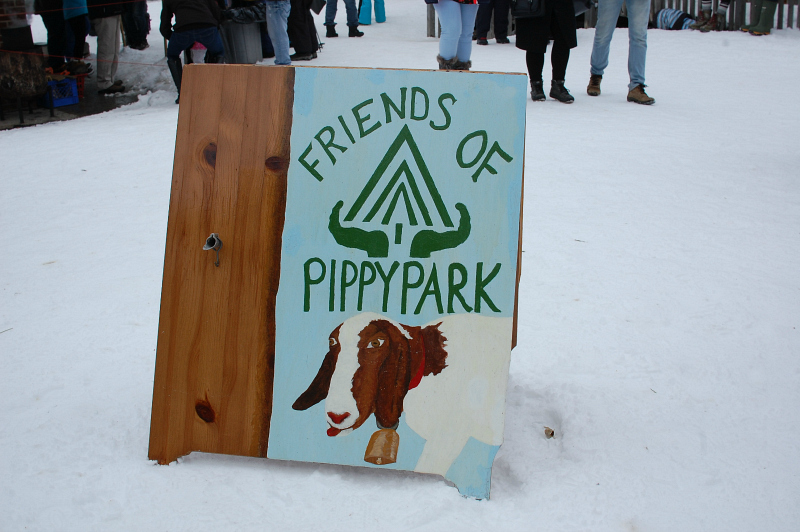 Maple tapping spiles are available at the Pippy Park Headquarters, while supplies last. 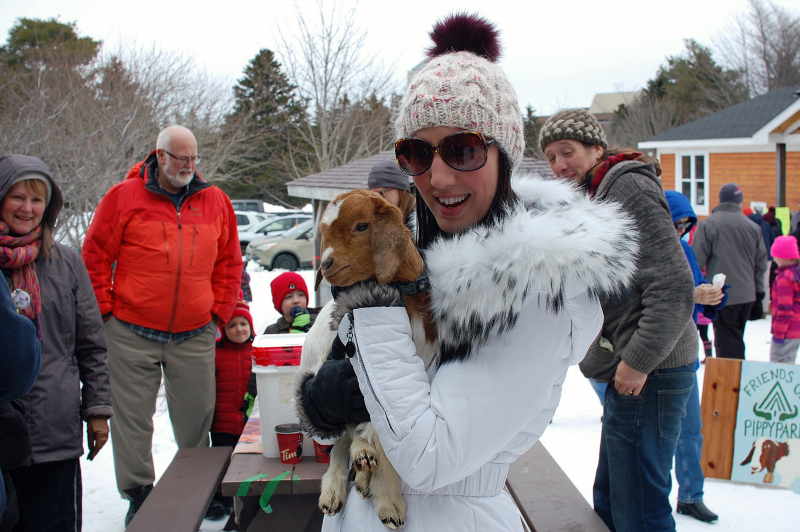 Purchases and donations support the initiatives of the Friends of Pippy Park, including this annual festival, and their family community garden. I hope you are all enjoying "Spring". Whatever it looks like where you are, there are so many ways to appreciate it!